Please join us for an exciting, fun-filled affair to celebrate those who participate in the Paul Mitchell Schools 2019 FUNraising campaign! You will purchase your FUNraising Gala tickets with your Summit registration, through Elizabeth Valenzuela (for yourself and your guests). Cost for non-Summit guests: $250 per ticket. Please do not use this website to purchase tickets for yourself or your guests. Dazzling red carpet events. Celebrity galas. Memorable moments etched in history. It all happens at The Beverly Hilton. 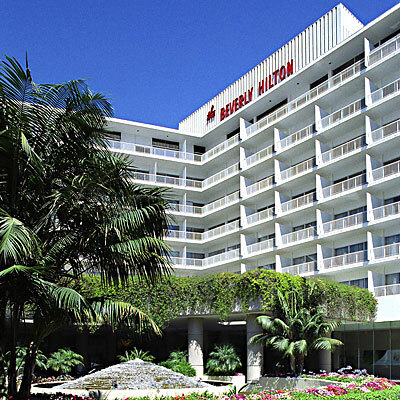 Opened in 1955 by Conrad Hilton, The Beverly Hilton has combined the excitement of Hollywood with the elegance of Beverly Hills for over 50 years. Nestled at the crossroads of the iconic Wilshire and Santa Monica Boulevards, this elegant four-star hotel combines the excitement of Hollywood with the prestige of Beverly Hills.